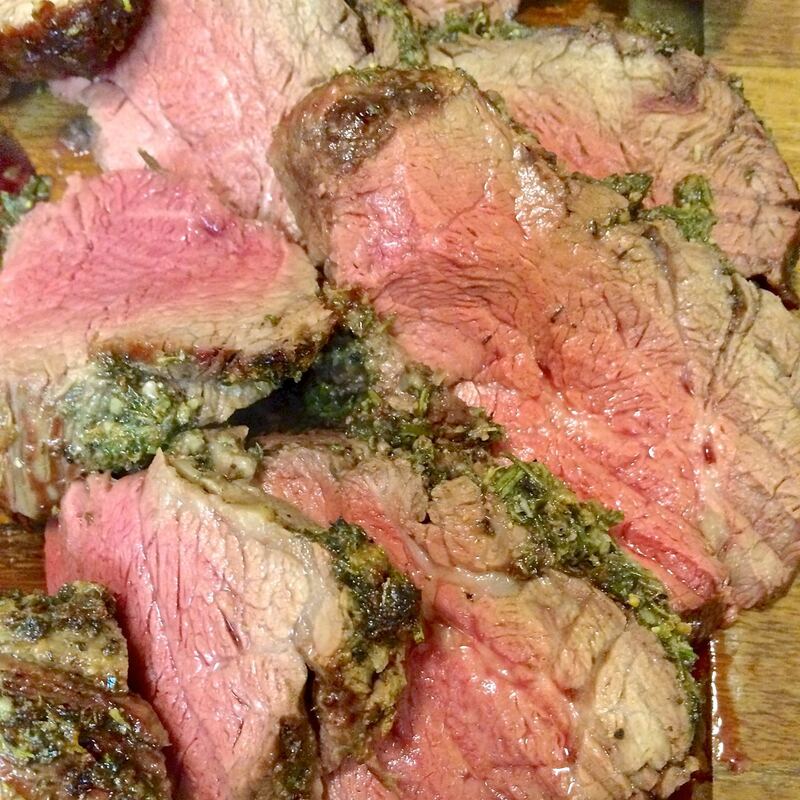 Tenderloin of beef is a perfect go-to roast for special occasions. It is very easy to prepare, takes little time to roast, and carves beautifully. Yes, it is expensive, but when reserved for special occasions, is so worth it. The tenderloin is the most tender of cuts. This muscle runs under the ribs next to the backbone of beef, and gets very little use, so remains tender. Even in an older animal who’s meat might be only be used for minced or stew, we try to reserve the tenderloin, which has amazing flavour, but is still tender. Unfortunately on-the-hoof aged tenderloin is hard to get (unless you raise beef).